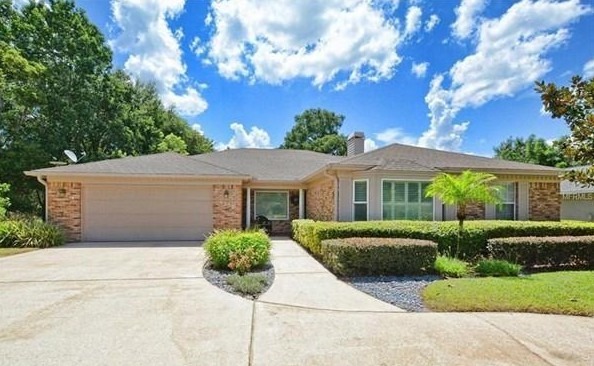 For an overseas property with true year-round appeal, Orlando is unlikely to disappoint. But don’t think that this city is just for kids, here we show you the best prices, the best neighbourhoods and the fun you can expect when you get there. Each year over 52 million tourists arrive in Orlando, ready to don Mickey Mouse ears and have the time of their lives! 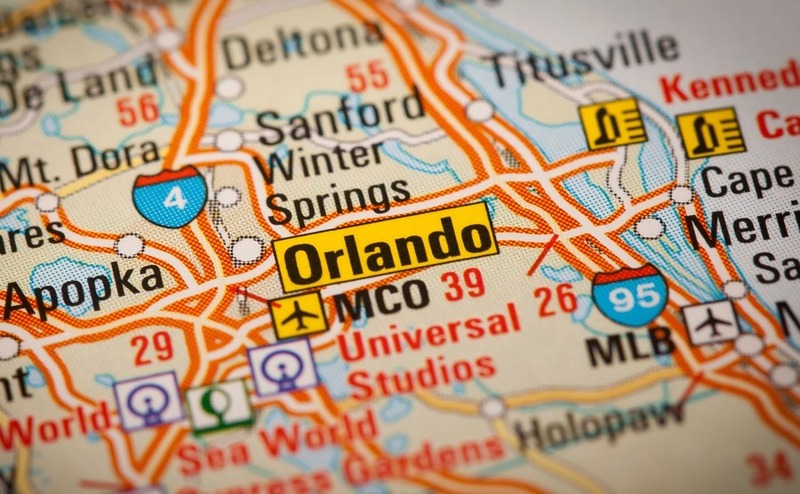 When you think of Orlando – chances are that the first thing that springs to mind is its theme parks. The city is home to some of the USA’s biggest attractions, drawing in 52 million tourists each year ready to don Mickey Mouse ears or their swimming trunks and go and have the time of their lives. The tourist footfall alone makes this the perfect location for those wanting to rent out their property when they’re not in town. 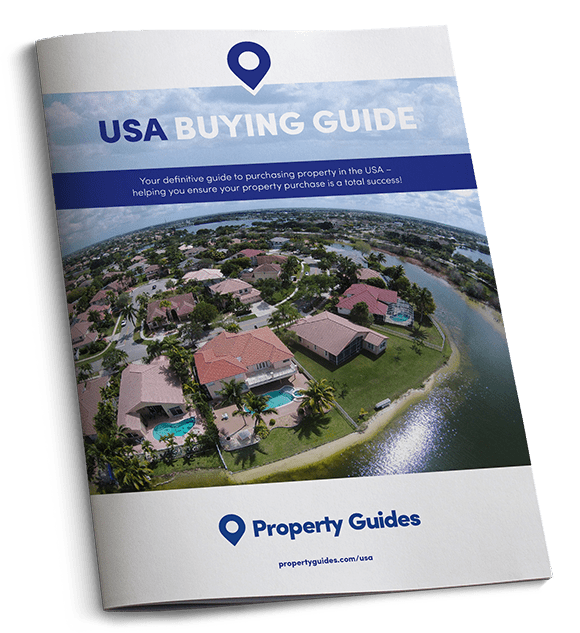 If you’re ready to buy in Orlando, contact our Resource Team on 020 7898 0549 (UK office hours), or email usa@propertyguides.com to be introduced to a trusted and Orlando agent. While the major attractions are located on the outskirts of Orlando, Downtown has a lot to offer locals and tourists too. Orlando’s neighbourhoods are modern and tree-lined and the city has a fabulous arts and museum scene, excellent cuisine and a number of nature reserves and gardens to explore. Peak seasons in Orlando unsurprisingly coincide with Easter and Summer holidays. Springtime temperatures tend to peak at around 27°C during March and April. This is one of the best times to visit as you can expect clear skies, dry days and lots of sunshine. May and June heats up a bit and things tend to get a lot more humid. Orlando has a sub-tropical climate and this means that from mid-June to mid-September you should anticipate daily thunderstorms. With temperatures hitting around 32°C on a hot day, however, these thunderstorms often provide welcome relief. Autumn is a lovely time to be in Orlando – you can expect warm, balmy days with temperatures sitting at around 29°C. Things tend to get a little older in late October, when temperatures can dip down to 10°C. Even winters aren’t too shoddy – it’s not uncommon for temperatures to hit 24°C during winter months, although cold fronts do roll in, and temperatures can drop right down to 2°C. On the whole, however, frost is a rarity. Orlando’s neighbourhoods are modern and tree-lined and the city has a fabulous arts and museum scene and excellent cuisine. Where do we start? There is so much to see and do in Orlando that it’s little wonder people keep coming back year after year. Obviously the star of the show is Walt Disney World – the largest theme park resort in the world, which includes the Magic Kingdom, Epcot Hollywood Studios and Animal Kingdom. There’s also the Universal Orlando Resort, which boasts two theme parks, five hotels and an enormous entertainment district. Within the Universal Orlando Resort you’ll find Universal Studios, Islands of Adventure and Citywalk. If you and the kids need to cool off from the Florida sunshine, you can check out Aquatica and Discovery Cove. If you’re worried that you’ll miss your weekly footy match when you move to the USA, fear not – there are two ‘soccer’ teams to support in Orlando alone: Orlando City Soccer Club (The Lions) and the Orlando Sharks, who play indoors. There is also Orlando’s NBA team, Orlando Magic and the UCF Knights – the University of Central Florida’s baseball team. Should you prefer playing sport rather than just observing, you’ll be delighted to hear that there are over 20 golf courses in and around Orlando, and three tennis clubs. When you’ve tired of rubbing shoulders with Goofy and the gang, you can turn your attention to some retail therapy. Orlando’s best bargains can be found at Lake Buena Vista Factory Stores and the city’s two Orlando Premium Outlets, which have two sites: International Drive and Vineland Avenue. There are also two standard shopping malls to explore too – The Mall at Millenia and The Florida Mall. While you’ll of course find tourist favourites like Planet Hollywood, Hard Rock Café, Rainforest Café in Disney and Universal Orlando Resort, Downtown Orlando is also a great spot to head for food, drinks, and less chance of having to compete with crowds to secure a table. The majority of Orlando’s evening action occurs around Orange Avenue and Central Boulevard in Downtown Orlando. Here you’ll find dozens of restaurants catering to all tastes: American food, Asian, Indian, Peruvian, you name it. Orlando’s Milk District has lots to offer nightlife-wise and has a slightly more bohemian vibe. If you’re looking for something a little more upmarket, you should check out the Winter Park area, which is just to the north-east of Orlando, around Park Avenue, where you’ll find lots of quality places to eat and drink, as well as galleries, boutiques and cafes to enjoy by day. For just $556,990 (£423,400) this incredible property, located in Windermere’s exclusive Preserve gated community, could be all yours. Cool off from the Florida heat with a dip in your private pool or something chilled from your walk-in wine cellar. This modern property has five-bedrooms, a summer kitchen, wooden floors throughout and your very own media room. You’ll also have access to a residents’ clubhouse, swimming pool, state-of-the-art fitness centre, parks and the opportunity to canoe or kayak. This three-bedroom, three-bathroom, lakefront property in Winter Park is on the market for just $489,900 (£373,000). The spacious property enjoys an open plan layout and a screened pool/ spa area, opening out onto an extended dock where you can park up your kayak or your jet ski. 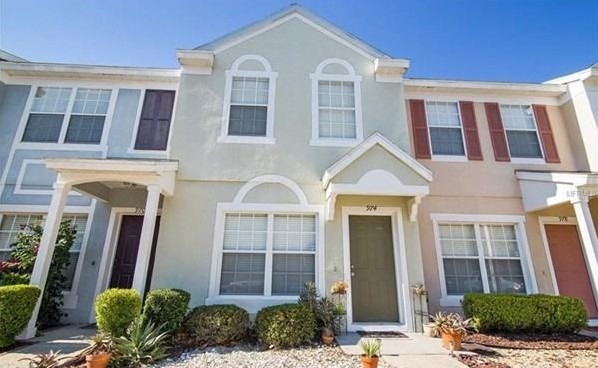 If you’re looking for a real bargain look no further than this Lake Mary, two-bedroom, three-bathroom, move-in ready townhouse, which is on the market for just $140,000 (£107,000). This is another spot located in a private gated community, which means you can sample the delights of the residents’ clubhouse, and resort-style community pool. The values in pounds we show here are based on the interbank rate at the time of going to press. This is not available to the general public, but click here for a free, no-obligation quote from Smart Currency Exchange and a friendly chat about exchange rates in general. You could also download Smart’s Property Buyer’s Guide to Currency, for more tips on getting the best rates.